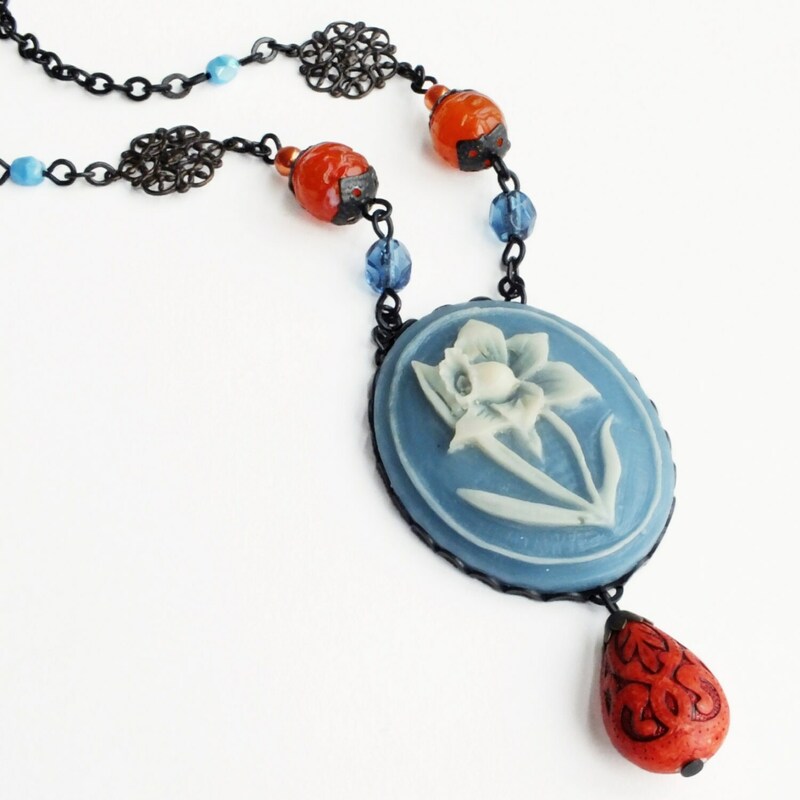 Large handmade blue daffodil cameo necklace with blue orange beaded flower cameo. 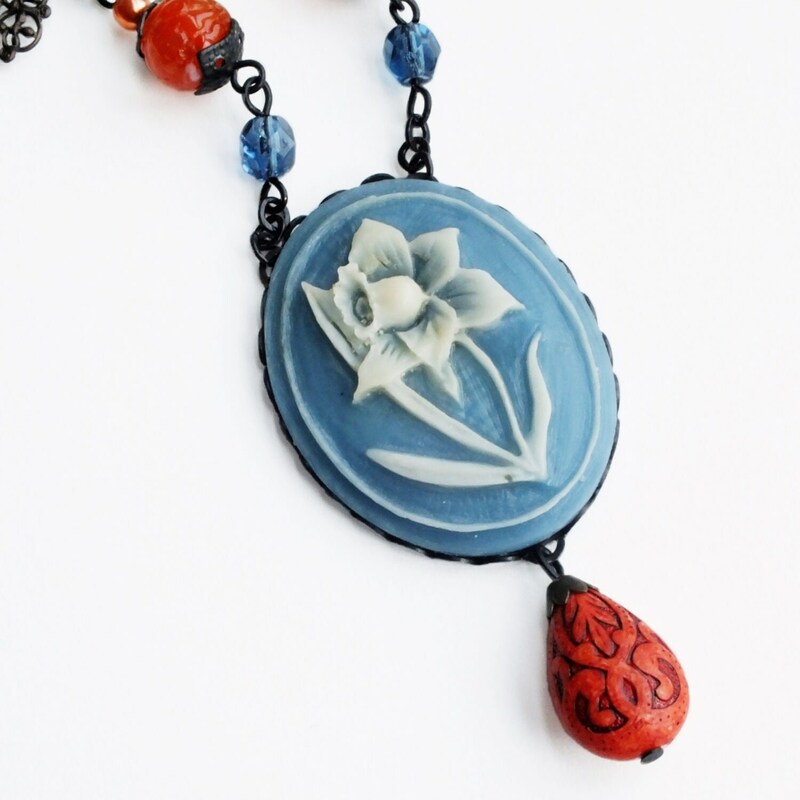 Genuine vintage cameo and beads. 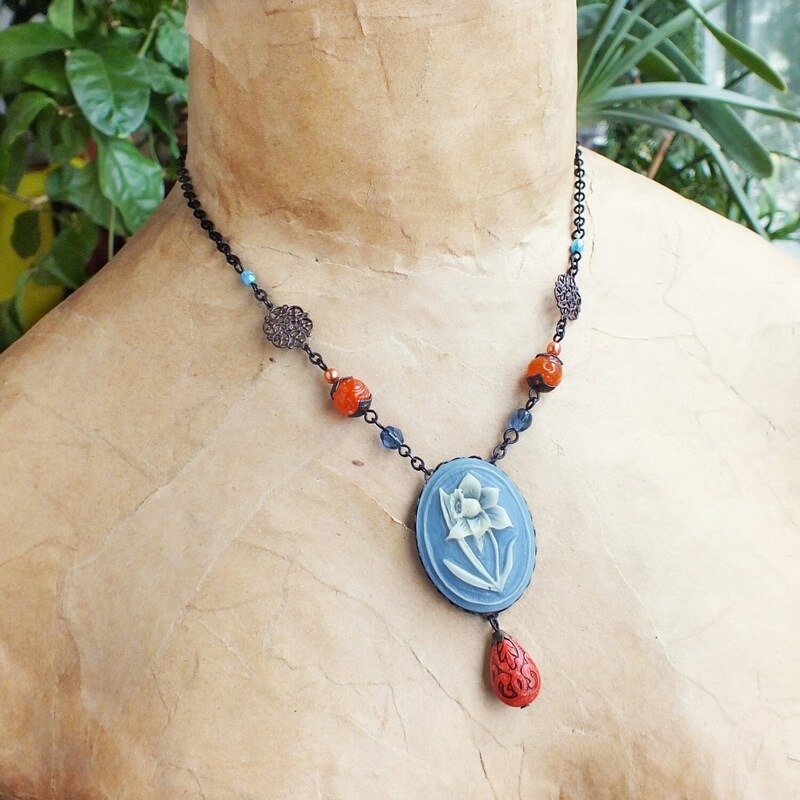 US made antiqued brass chain and settings. Cameo is 1.25 x 1.5 inches - 3 x 4 cm. 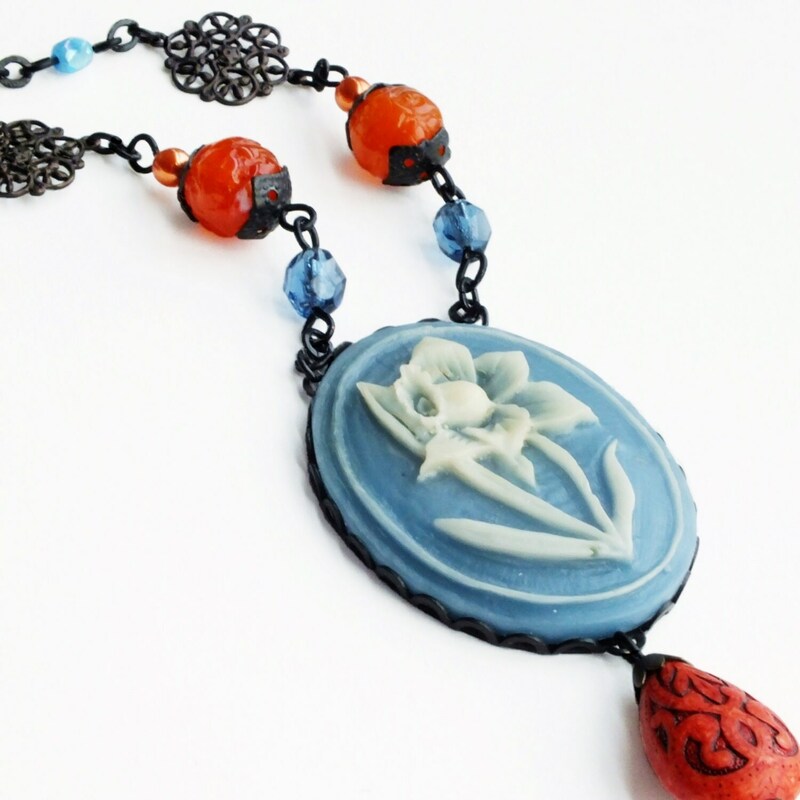 Made with a large genuine vintage delicately carved daffodil cameo in slate blue and cream. Take special notice of the delicate petal frills! 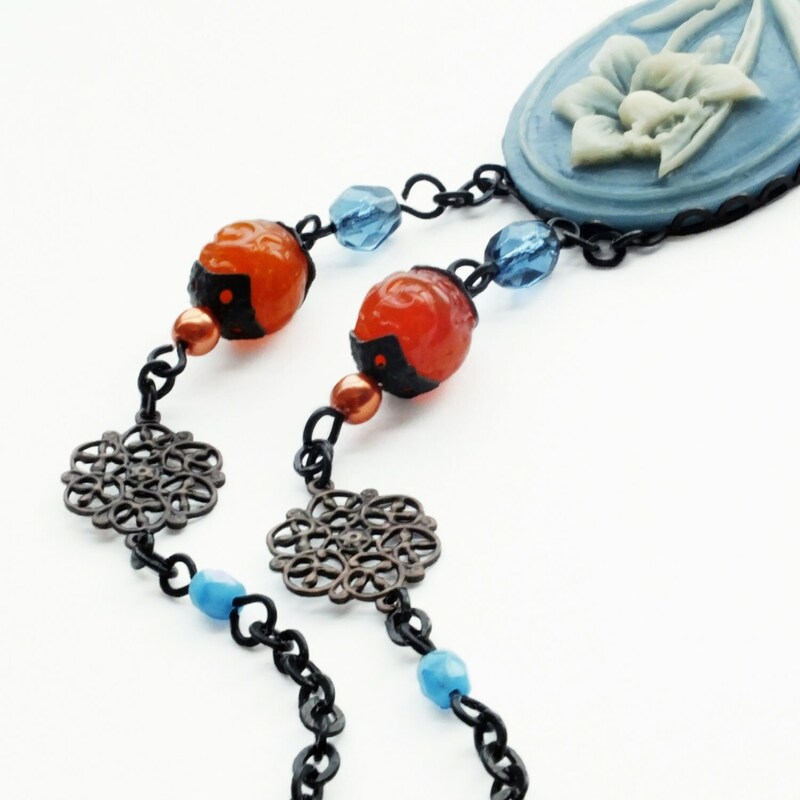 I hung it from a necklace of vintage and new beads in a rust / orange / blue palette.